International sporting associations have played their part in this complacency and continue to do so. The associations’ efforts to further women’s sporting rights lack resolve and forcefulness not only in their attitude towards Saudi Arabia but also towards Iran, the world’s only other country that bans women from attending male sporting events. Yet, both Saudi Arabia and Iran given their need for international contributions to their economic turn arounds may be more susceptible to pressure than they have been in the past. Iranian efforts so far have focussed on soccer and volleyball. The International Volleyball Federation (FIVB) nonetheless backed away in recent days from its earlier insistence that Iran allow women to watch men’s matches if it wants to be awarded hosting rights. It did so after its efforts failed to persuade Iran to lift the ban for this year’s Kish Island Open leg of the Beach Volleyball World Tour. The FIVB backdown is all the more curious given that the volleyball constitutes a hardening of Iran’s position. In contrast to the ban on women attending soccer matches that dates back to the 1979 Islamic revolution, women were only barred from volleyball events in 2012. The FIVB had vowed in 2014 not to award further events to Iran following the arrest of British-Iranian national Ghoncheh Ghavami on charges of waging "propaganda against the regime" for attempting to attend an attending an FIVB World League match in Tehran. Ms. Ghavami spent 151 days in Tehran’s notorious Evin prison before she was released and charges eventually dropped. The FIVB has since concluded that Iran’s complex religious politics make it unlikely that firm pressure will produce results. Like the IOC, it has opted for an ad-hoc approach with little evidence that there is greater hope for success. "Volleyball is not relevant enough for the government to set a precedent and change... At least by allowing Iran to host events, the conditions for people to express their views and opposition are there… We would be punishing a whole generation of athletes trying to get into the sport by not holding any events in Iran,” said an FIVB official. Militant, street battle-hardened Egyptian soccer fans set the stage for growing protests against the government of general-turned-president Abdel Fattah Al Sisi when they earlier this month forced their way into a stadium in protest against the country’s long-standing ban on supporters attending football matches. The storming of the pitch in the Borg Al Arab stadium in the Mediterranean city of Alexandria during an African Championship match by Ultras Ahlawy, the militant support group of storied Cairo club Al Ahli SC, was the first major soccer-related incident since 20 fans were killed in Cairo last year in a clash with security forces. Police fired gas during the Alexandria incident, wounding 29 people. Militant soccer fans played a key role in the 2011 revolt as well as in subsequent anti-government protests. Fans moreover constituted the backbone of anti-Al-Sisi student protests following the 2013 military coup in which he overthrew Mohammed Morsi, Egypt’s first and only democratically elected president, and paved the way for his election as president amid brutal repression of any opposition. The student protests were suppressed with an iron fist while universities were turned into security force-controlled fortresses. Police this week arrested dozens of activists across Egypt in advance of protests planned in defiance of the country’s draconic anti-protest law for April 25, the anniversary of Israel’s return to Egypt of the Sinai which it had captured during the 1967 Middle East war. The demonstrations are the largest non-Islamist protests since the overthrow of Mr. Morsi, a member of the since banned Muslim Brotherhood. The incident and other similar ones suggested that like in 2011 the brutality of unreformed security forces is fuelling anger at the government’s failure to halt economic deterioration and reform the security sector. Security force brutality is also hurting Egypt internationally in the wake of the death of Giulio Regeni, an Italian student widely believed to have been detained and tortured by police before his body was found. At the same time, Mr. Al-Sisi seems to have become more sensitive to mounting dissatisfaction and the fact that the brutality of his security forces only serves to fuel dissent. In an unprecedented gesture in February on the fourth anniversary of a politically loaded brawl in a stadium in the Suez Canal city of Port Said in which 72 members of Ultras Ahlawy died, Mr. Al-Sisi phoned into a television program to invite the ultras to appoint ten of their members to independently investigate the incident. Ultras Ahlawy declined the invitation saying it could not be accuser and judge at the same time but kept the door to a dialogue open. The phone call constituted not only recognition of the fans’ street power but also an unprecedented attempt to reach out to Mr. Al-Sisi’s critics. Similarly, Mr. Al-Sisi’s government did not denounce thousands of protesters who earlier this month took to the streets to condemn the surrender of the islands as supporters of the Brotherhood – an allegation the regime has levelled since 2013 against virtually anyone who expressed dissident. By the same token, security forces refrained from using excessive violence to disband the illegal protests. Beyond his apparent newly found sensitivity, Mr. Al-Sisi may have also feared that nationalist sentiment fuelled by the island issue could extend to the security forces and persuade them not to act forcefully against protesters. The protests sparked by the island issue and the protesters’ adoption of slogans critical of the government’s overall performance are however likely to persuade Mr. Al-Sisi to keep the country’s stadiums closed to the public out of fear that they could become opposition rallying points. 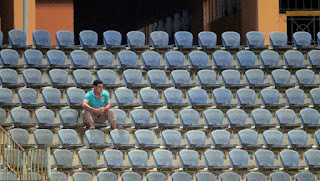 Egyptian teams have played in empty stadiums for much of the five years, having first been closed at the start of the anti-Mubarak demonstrations in 2011. The continued closure of the stadiums is nonetheless also risky as it incentivizes the fans to play their part in broader protests against the government on issues they empathize with. This month’s incident in Alexandria’s Borg Al Arab stadium potentially sets the stage for renewed confrontation. Police said the incident was provoked by fans trying to enter the stadium without tickets. Ultras Ahlawy rejected the police version saying the fans had been barred despite having been invited. Fearful that it would be blamed for potentially poor performances by Egyptian teams, the government has exempted international matches from its ban, allowing tightly controlled numbers of fans to attend those games. Earlier this month, in another gesture towards the fans, the regime allowed for the first time thousands of militant fans or ultras to attend an African Champions League match between Al Ahli arch rival Al Zamalek SC and Algeria’s Mouloudia Olympique de Bejaia better known as MO Bejaia. The fans believed that the fact that they had attended the game without incident would pave the way for a lifting of the ban. Those hopes were dashed when the interior ministry insisted after the game that stadiums would remain closed. The Borg Al Arab incident was the fan’s response. While world football may be dominated by European and South American nations, the Middle East and North Africa have consistently made football news over the years. Whether it was Algeria’s shocking win over West Germany in the 1982 World Cup, or the fact that some of the biggest clubs in Europe have owners from Qatar and the United Arab Emirates. In his latest book The Turbulent World of Middle East Soccer, James M. Dorsey, a journalist and a senior fellow at the S. Rajaratnam School of International Studies at Singapore’s Nanyang Technological University, looks at football in the region, which overlaps with politics, protests and gender rights. What is The Turbulent World of Middle East Soccer about beyond what the title suggests? What the book does, with a degree of history, is primarily delve on contemporary events. It looks at the role of football in the Middle East and North Africa, particularly in the popular revolts of 2011. It looks at the role that football’s played in terms of women’s rights; it looks at the debate, arguments and attitudes that exist between various tendencies within militant Islamists’ world towards football. History is important, because a fundamental thesis of the book, if you wish, is that football plays a role in politics across the globe in very specific moments of time and periods of history. What sets the Middle East and North Africa apart is that there is no other region where football has played a continuous, persistent and key role over a period of more than a century. So it’s not incidental, it doesn’t come and go. It is a continuous factotum. How is the overlap of politics in sport unique to the Middle East? It’s not. Sports and politics are intertwined at the hips. They are Siamese twins. You cannot separate them. The international sports world, whether soccer or other sports, including the International Olympic Committee, maintain this fiction that the two are separate. I call it political corruption. That political corruption as a matter of principle then enables financial corruption, which is the focus of much of the crisis that’s going on within world soccer. In the Middle East and North Africa, it is all the more true. You are talking about countries that are football crazy and in terms of the deep-seated passion that the sport evokes, it’s the only institution that can rival—in evoking that kind of passion—religion, mostly Islam. The dictator cannot control or shut down the space, even though it’s happened—in Egypt, for example, where for much of last five years, the stadia have been closed for spectators. What it means is the soccer pitch poses both a threat and opportunity. I say threat because it is an aggressive sport, it’s about conquering the other half, following its tribal, confined environment, in which emotions run high and large numbers give confidence in strength. The opportunity is that the sport is so popular, and if a club or the national team, Egypt being an example, is successful, then the autocrat would want to identify himself with that team. Some of the glory of the team may shine on him, particularly in situations when his image or credibility is on the line. The second opportunity is that it obviously allows the dictator to distract attention from grievances or things people are upset about. A number of years ago (in 2006), a ferry went down in Egypt, killing thousands. People were upset, for lack of management of the disaster. But the newspapers featured football on page one. Thirdly, under given circumstances, the autocrat can manipulate national emotions. In late 2009, when Algeria beat Egypt (to qualify for the finals of the World Cup in South Africa), you had riots in three continents. That’s the closest the world came since 1969 to a football war. Europen football clubs, like Manchester City and PSG, have owners from the Middle East. But what are their motivations in buying teams? Not all Arab owners or owners from the Middle East are motivated by the same thing. You have three categories. If I divide them based on seriousness, the least serious are individual businessmen. They may or may not be members of a ruling family. When they are buying a club, it’s really a vanity move, a whim of the moment. Malaga (owned by Qatari businessman Sheikh Abdullah bin Nasser al-Thani) in Spain is an example. The second group of investors is those who want to turn this into a business. What they often do is not buy a top league team, like a Manchester City or PSG, but they buy second, third league teams. They buy it cheaper, and hope to bring the team up to the Premier League. They can make money in the process. There’s no proven example of that working yet, but that doesn’t mean it may not work. The third group, the one with the most attention and rightly so, is either an entity belonging to a sovereign wealth fund owned by the government or a very senior member of the ruling family. But it functions the same way as it has been bought for the state and in those cases it really is about soft power. It’s about projection of the country and image building, particularly countries that don’t have a great image. The cases of Qatar and UAE are different. Qatar (through its sports foundation Aspire) has bought a minor team in Belgium, Eupen. The reason they have done that is because the Qataris are more strategic compared to the UAE (which owns Manchester City). Most countries develop a sports sector organically over many years, Qatar is building it lock stock and barrel. The reason they got Eupen, a team of no renown, is because they needed a team where they could send players for experience. The UAE, beyond the projection, also sees a business. You see that in the ability of the owners of Manchester City being able to parley their ownership with a significant entry into China, the growing market in the coming years. There is a battle going on between Qatar and the UAE that plays out, among other places, on the football field, but not exclusively to it. There are tensions and differences between Qatar and Saudi Arabia. The reason it plays out is beyond the nature of relationships between Qatar and the UAE. These are two countries that see sport as a vehicle to achieve political goals. 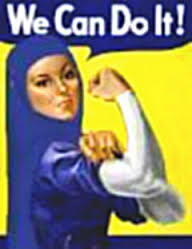 Saudi is a vulnerable state because of its issues with women’s sports. They also may not want to open themselves for that kind of criticism. Also, Saudi has a conservative clergy where views, particularly on football, are divided. Why would Qatar (hosting the 2022 edition) or any other Gulf state bid for the World Cup? Is it because of economic reasons or something beyond it? It has nothing to do with economics. By and large, if World Cups leave a legacy, it’s white elephants of debt. They make money for Fifa, may make money for sponsors, but they don’t make money for the hosts. You host a World Cp because you believe the cost of it is worth the objectives you are trying to achieve and those are usually projections, ability to organize an event like this, branding, leveraging of opportunity and so on. What does football do for people in the Middle East? Is it a metaphor for freedom? When we are talking about the Middle East and North Africa, we are talking about 22-25 states. Each one is different from the other. In many states, it is a release valve. There was a study in 2011 on why divorce rates were rising in Egypt and, you guessed it, the foremost reason was football. For the vast majority of people who see and feel football is one thing in their life that distracts from their daily struggle, for a vast majority they are probably not that political. But when you do then get militant fan groups who enjoy a lot of respect because of the depth and militancy of their support of their club, then some of that rubs off. If and when this happens in various countries, the fights between security forces and fans become one of the major flashpoints of resistance to the regime. Why don’t rich Arabs invest in soccer in the Middle East? They do, clubs in the Gulf are owned by rich people. Now, that’s the Gulf. Because of the political structure, often, private ownership is difficult. One of the things you will probably see with the World Cup in Qatar is that there will be a drive towards further professionalization in the region. Has the renaissance of Middle East soccer come and gone? I don’t think its come and gone. You have a number of powerhouses in the region that often, for political reasons, haven’t always been able to fulfil their full potential. Algeria, Morocco, Tunisia, Egypt, Iraq, Saudi Arabia, Iran and Israel, if playing in Asia rather than Europe, are soccer powerhouses. 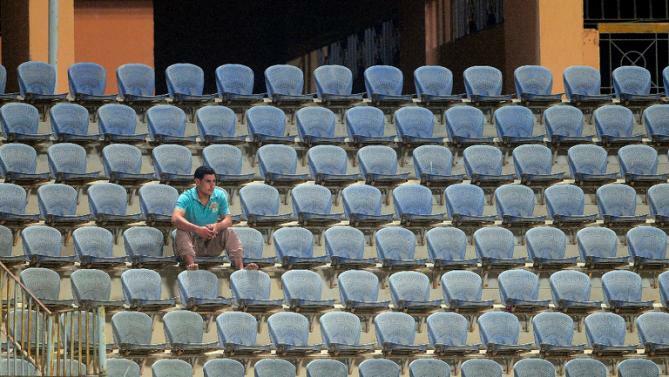 Recently, Qatar was in the news for human rights violations, vis-à-vis workers at the stadiums. But is that unusual? The kafala sponsorship system (used to monitor migrant workers) is more or less universal in the Middle East. Its not a new issue—the first time I wrote about it was 1976, 40 years ago. The difference that the awarding of the World Cup to Qatar has made is it suddenly gave the activists of human rights leverage on the workers’ conditions. You can go back a number of years before the awarding and these reports came out every year. There was a bad day in Doha or Abu Dhabi and the next day it was forgotten because there was no momentum to it. The awarding of the World Cup gave it momentum, leverage to these groups. You say in your blog that Qatar’s high profile sporting efforts have turned into a self-defeating enterprise. Can you explain? Qatar has a multipronged soft power policy. Beyond sports, they have high-profile real estate investments, high-profile art acquisitions, building of museums, you have Doha as an international airline hub, you have a foreign policy that’s high-paced and geared towards mediating conflicts. They want to be friends with everybody and provide solutions at times when others can’t do that. The Qataris expected that when they were awarded the World Cup in 2008, they would be feted and celebrated. Instead, they have been showered by questions about integrity of their bid and issues about conditions of labour. Even though they have done some good stuff in response, they have been poor in their ability to communicate that they do recognize the issues and are trying to do something. What their issues are in terms of implementing this, why it’s taking time. If you leave your office and go down to the street and ask people if they have heard of Qatar and what they think of Qatar, they would say enormous wealth, slave state and a great airline. World soccer body FIFA’s creation of a watchdog to monitor the living and working conditions of migrant labour employed on World Cup 2022-related construction sites constitutes the second time in a month that Qatar has been warned that it needs to demonstrate sincerity in its reform of the Gulf state’s controversial labour system. 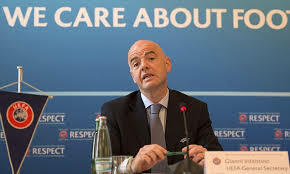 The announcement of the watchdog by Gianni Infantino during his first visit to Qatar as newly elected president of FIFA followed a rare warning by the International Labour Organization (ILO) that it would establish a Commission of Inquiry if Qatar failed to act in the coming year. Such commissions are among the ILO’s most powerful tools to ensure compliance with international treaties. The UN body has only established 13 such commissions in its century-long history. The long-overdue FIFA move more than five years after Qatar was awarded World Cup hosting rights has much to do with Mr. Infantino’s need to demonstrate that he is breaking with the world soccer body’s politically and financially corrupt past that has led to criminal investigations in Switzerland and the United States. Scores of FIFA and other international soccer executives have been indicted in the US on corruption-related charges. It also constitutes the first concrete follow-up to a report by Harvard University professor John Ruggie, a renowned human rights scholar, that earlier this month called on FIFA to “consider suspending or terminating” its relationship with World Cup hosts who fail to clean up their human rights records. Professor Ruggie’s report was commissioned by Mr. Infantino’s disgraced predecessor, Sepp Blatter. FIFA has been heavily criticized for awarding the World Cup to Qatar despite its kafala or sponsorship system that puts workers at the mercy of their employers. Working with international human rights groups, Qatar’s 2022 committee as well as two other Qatari institutions have adopted international standards that are incorporated in all contracts. Those standards have yet to be made part of national legislation and Qatar has yet to make good on promises to significantly reform its labour system. FIFA’s creation of a Qatar watchdog constitutes progress but it fails like the Ruggie report to address the underlying fundamental problem that enabled disregard for human rights in the awarding of the World Cup and has by and large turned the world soccer body and some of its regional confederations into support pillars of autocracy in the Middle East and North Africa. That problem, which is endemic to international sports associations in general starting with the International Olympic Committee (IOC), is the denial of the inextricable relationship between sports and politics and international sports’ fictional assertion that the two are separate. Populated by officials with government links, the executive committees of for example the IOC or the Asian Football Confederation, whose president, Sheikh Salman Bin Ebrahim Al Khalifa, a member of Bahrain’s minority Sunni Muslim ruling family, is a FIFA vice president, tells the story of the incestuous relationship between sports and politics. It also demonstrates the limitations of Professor Ruggie’s recommendations. Mr. Salman’s AFC presidency and his failed candidacy earlier this year for the post of FIFA president have been dogged by allegations of involvement in the abuse of rights of prominent Bahraini soccer players and other athletes to which he never responded adequately or convincingly. Sheikh Ahmad Al-Fahad Al-Sabah, a key protagonist in a power struggle within the Kuwaiti ruling family that has sparked Kuwait’s suspension by the IOC, FIFA and a slew of other international sports associations, represents Asia in FIFA’s executive committee. AFC executive committee member Maj. General Mohamed Khalfan MS Al Romaithi, a former head of the UAE soccer association, is Deputy Commander-in-Chief of the Abu Dhabi Police, a force that stands accused by human rights groups of systematic violations of human rights. Mr. Salman’s AFC recently inadvertently put the relationship between sports and politics on the agenda when it argued that national soccer associations were being penalized for political interference that was beyond their controls. Two AFC members, Indonesia and Kuwait, have been suspended by FIFA on charges of political interference. The AFC’s presumption that national soccer associations are victims rather than accessories, if not participants in political interference, is belied by the fact that most Middle Eastern and North African governing bodies are managed by members of ruling families or executives with close ties to government. The implicit call in the taskforce’s conclusion would effectively give those executives a blank check and deprive bodies like FIFA and AFC from much of the leverage they have. FIFA last year banned Indonesia over a dispute between the country's sports ministry and the Indonesian soccer association over who was in charge of the sport. The Kuwaiti example is a particularly flagrant example of the disastrous consequences of the unacknowledged and unregulated relationship between sports and politics. Kuwait’s suspension is widely seen as the fallout of a long-standing power struggle involving personal and political differences between members of the country’s ruling family at the centre of which is Mr. Ahmad, who is widely viewed as one of world sports’ most powerful men. Mr. Ahmed, a former oil minister and head of Kuwait’s national security council who is also president of the Olympic Council of Asia and the Association of National Olympic Committees, has sought to leverage his powerful position in sports to secure a prominent return to government. Kuwaiti officials said privately that members of the ruling family were fighting a bitter battle against one another at the expense of their country’s sports. “This is a political struggle. They want to finish off Sheikh Ahmed but he is not someone who will go down without a fight,” one official said. The composition of the AFC executive committee as well as Kuwait’s travails illustrate that FIFA will have to do more than create a Qatar watchdog to secure recognition of its adherence to human rights. To do so, FIFA, like the IOC and other sports associations, will have to acknowledge soccer’s inextricable ties to politics, clean house, and introduce independent oversight and principles that govern their relationship with politics. President Barak Obama has a challenge and an opportunity when he meets this week first with Saudi King Salman and then with the leaders of the six Gulf states. His challenge is to manage increasingly fundamentally diverging policy differences. His opportunity is to push for political and social change given that the United States’ alliance with Saudi Arabia is unlikely to revert to the status ante quo at a time that the kingdom confronts existential threats. The list of differences between Saudi Arabia and the United States that have emerged since the 2011 Arab popular revolts is long and growing. It starts with US support for the toppling of Egyptian President Hosni Mubarak, a longstanding American ally; US criticism of the squashing in 2011 of a popular revolt in Bahrain with the help of Saudi troops; Mr. Obama’s backtracking in 2013 on a promise to act if Syrian President Bashar al-Assad were to use chemical weapons; and for now ends with the conclusion by the United States and other world powers of an agreement to end the Iranian nuclear crisis that is leading to Iran’s return to the international fold. If those and other steps were not enough to convince Saudi Arabia that the United States, its foremost protector for which there is no immediate alternative, no longer was an ally that would come to the help of its friends no matter what, Mr. Obama drove the message home in a series of interviews with American journalist Jeffrey Goldberg. 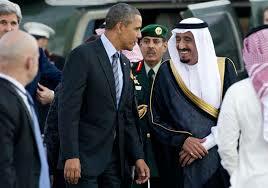 Mr. Obama laid out a vision of diminished significance of Saudi Arabia and the Middle East to US national security, a need for US allies to shoulder their responsibility in ensuring regional stability rather than acting as free riders on the coattails of a United States that pulls their chestnuts out of the fire, and a world in which the kingdom would have to share regional power with its archenemy, Iran. In response, Saudi officials with Prince Turki al-Faisal, a former intelligence chief and ex-ambassador to the United States, in the lead rejected the president’s assertion that Saudi Arabia had failed to pull its weight. Prince Turki listed numerous incidents in which the kingdom had helped the United States. At the same time, US officials noted that despite differences the US maintained close military, security and intelligence cooperation. The Saudis nonetheless did themselves no favours when they recently warned US officials and members of Congress that the kingdom might sell off up to 750 billion dollars’ worth of American treasury bills and others assets held by Saudi Arabia if Congress passes a bill that would allow the Saudi government to be held responsible in US courts for any role in the 9/11 attacks. Obama administration officials have been lobbying Congress to drop the proposed bill. More fundamentally, Saudi Arabia concluded from the US’ shift in approach towards the kingdom and the region that it needed to be more assertive in both its foreign and military policy in a bid to solidify its position as a regional power and ensure that the regional line-up would back it in its long-standing struggle with Iran for regional hegemony. As a result, Saudi Arabia launched last year a so far disastrous military campaign in Yemen, escalated tensions with Iran, supported militant rebel forces in Syria, formed a fragile military alliance of Muslim countries, and supported Egyptian-general-turned-president Abdel Fattah Al-Sisi’s 2013 military coup with massive financial injections. Saudi King Salman, on a visit to Egypt earlier this month, promised Mr. Al-Sisi further lavish funding. Implicit in the Saudi actions is the hope that increased tension in the Middle East will force, if not Mr. Obama, then whoever wins the November presidential election in the United States to engage, and that a Saudi-led Sunni Muslim alliance will be able to counter Iran’s ambitions as a regional power. In various interviews in recent months, King Salman’s powerful son, Deputy Crown Prince Mohammed bin Salman, has stressed that the kingdom is seeking US re-engagement. The problem is that Saudi hopes are likely to prove to be wishful thinking. Even if the United States were to re-engage in the Middle East, it would not constitute a return to the status ante quo in which Washington largely sided with Riyadh and shared the Saudi goal of completely isolating Iran. Moreover, Iran’s emergence as one of the Middle East’s foremost regional powers is inevitable while Saudi Arabia’s ability to match if not surpass Iran is a lost cause. Current Saudi regional leadership is the result of the kingdom’s ability to exploit a window of opportunity rather than reliance on the assets and power needed to sustain it. Saudi Arabia’s interest is to extend its window of opportunity for as long as possible. That window of opportunity exists as long as the obvious regional powers – Iran, Turkey and Egypt – are in various degrees of disrepair. The lifting of punitive international sanctions and international isolation as part of the nuclear agreement no longer stymie Iran in asserting itself as a dominant regional power. Saudi support of Egypt, the Arab world’s most populous country, is in effect an effort to compensate for the kingdom’s weaknesses. Mr. Obama is likely to smooth ruffled feathers in his talks with Saudi and Gulf leaders, but will probably fail to erase regional doubts about the reliability of the United States as an uncritical ally that seeks to align its policies with those of its allies and can be counted on to be there in what Gulf leaders might see as a time of need. It is that crucial change in mutual perceptions of one another that holds opportunity for Mr. Obama, particularly at a time that the United States and the Gulf alongside many other nations seek to counter militant Islamic radicalism and defeat the Islamic State. Mr. Obama’s predecessor, George W. Bush, recognized in the wake of the 9/11 attacks that US support for autocratic, repressive Middle Eastern and North African regimes had contributed to an environment from which the 9/11 attacks emerged. Mr. Bush sought to address the issue with his ill-fated democracy initiative. US support for civil society groups was moreover stymied by the US’s reversal to a policy that favoured regional stability through support of autocracy instead of political, economic and social change. Nowhere is Middle Eastern autocracy’s contribution to potential breeding grounds for militant Islam more evident than in the puritan, inward-looking, intolerant world view of Wahhabi and Salafi interpretations of Islam that are promoted globally by the kingdom. Mr. Obama, by putting forward a worldview in which Saudi Arabia and the Middle East is of less importance to the United States and by acknowledging policy differences, has created the space to support civil society groups in the region even if regimes would take a dim view of such actions. While there is no indication that Mr. Obama intends to exploit that opportunity, the fact remains that militant Islam and the likes of the Islamic State can only be sustainably stymied if political change is part of the policy mix. Waleed Abdullah probably didn’t know what was happening to him when a referee delayed kick-off of a Saudi premier league match to cut the Al Shabab FC goalkeeper’s hair. In a country that demands conformity, Mr. Abdullah’s hair-do, involving shaved parts of his hair in a style popular among youths across the globe, was deemed un-Islamic and by implication subversive – a threat that needed to be dealt with immediately and demonstratively. Al Shabab was only allowed to play after fans, players and officials watched the referee use scissors to remove a small mohawk at the front of Mr. Abdullah’s head. Mr. Abdullah was the first Saudi player to become the victim of a decision earlier this month by the Saudi Arabian Football Association to ban the hairstyle popular among players in the kingdom. The association said the hair-do violated a saying of the Prophet Mohammed that bans Al-Qaza, the shaving of one part of one’s hair while leaving others unshaven. The ban could mean that that the likes of Cristiano Ronaldo, one of the biggest names in global soccer, and others could have their heads shaven if they were to visit Saudi Arabia for a match. “Water bills are unbelievably expensive, government employment has halted, real estate and financial loans have stopped, and the government meets to talk about banning Al-Qaza,” said a critic on Twitter. Saudi Arabia’s budget deficit ballooned to 15 percent of Gross Domestic Product (GPD) last year. The government is this year expected to tap international debt markets as it burns through its currency reserves at a record pace. To plug the gap, the government has cut subsidies on basics like fuel, electricity and water. Those austerity measures alter the kingdom’s social contract under which the citizenry enjoyed cradle-to-grave welfare in exchange for surrender of political rights and acceptance of Saudi Arabia’s strict and puritan Wahhabi interpretation of Islam. Many Saudis were furious when they last month received their first unsubsidized water bills involving hikes of up to 3,000 percent. "Have they changed the type of water they pump to people? Or have they added vitamins? My bill has jumped from $8 to $265!" former football star Faisal Abu Thnain tweeted. Water and Electricity Minister Abdallah al-Hussein did little to calm emotions when he suggested that water bills following the subsidy cut were still less than half of what an average family spends on mobile telephony. Saudi Arabia could run out of groundwater in the next 13 years with daily per capita consumption of water in Saudi Arabia averaging 380 litres per day compared to a global average of 160 to 180 litres. Pricing water at market value to encourage conservation constitutes sound policy. However, for the kingdom’s ruling Al Saud family, the problem is that there is ultimately likely to be a cost to the government’s unilateral rewriting of the social contract, which is one reason why haircuts suddenly pose a potential threat. That is particularly true for Saudi soccer players who alongside Islamic scholars and some Al Sauds are the kingdom’s only celebrities. While a recent poll concluded that a majority of Arab, including Saudi youth, believed that at this point the Middle East and North Africa needed stability rather than democracy, it also showed that a majority wanted more personal freedom and greater respect for human rights. Equally problematic for the Al Sauds, many of whom may empathize with views among the youth but see the ruling family’s long-standing alliance with the kingdom’s ultra-conservative Wahhabi clergy as crucial to its survival, is the survey’s conclusion that Arab and Saudi youth perceive as an entitlement the very things the government is eliminating from the social contract. For now, regional instability works in the Al Saud’s favour as it dampens the willingness of Arab and Saudi youth to risk demands for full freedom and persuades them to not fundamentally rock the boat. However, as economic change takes hold, “future generations (may) not (be) feeling politically beholden to their governments and ruling families in the way their parents and grandparents might have done,” the Chatham House workshop cautioned. Mr. Abdullah’s Mohawk had to go because it wittingly or unwittingly challenged the Al Saud’s social and political control at a time of flux. In publicly humiliating Mr. Abdullah, the Saudi soccer association moreover made a mockery of international sports’ insistence that sports and politics are separate by seeking to close the door, albeit at best temporarily, on the kind of individuality that comes with inevitable social and political change. Egyptian President Abdel Fattah Al-Sisi’s brutal regime in rare gestures towards his opponents has twice this year recognized the potential street power of his country’s militant, street battle-hardened soccer fans. In doing so, the regime has implicitly acknowledged that security forces rather than the fans were responsible for past violence and provided ammunition for calls for wholesale reform of law enforcement. The Sisi regime’s latest gesture came this week when for the first time in five years allowed thousands of members of the Ultras White Knights (UWK), hard-line supporters of storied Cairo club Al Zamalek FC who played a key role in the 2011 toppling of Egyptian president Hosni Mubarak and protests against subsequent governments, to attend an African Champions League match against Algeria’s Mouloudia Olympique de Bejaia better known as MO Bejaia. The decision to allow UWK into the stadium followed warnings by the group and its arch rival, Ultras Ahlawy, the militant support group of Al Ahli SC, that they would defy the interior ministry’s ban, implicitly risking yet another deadly clash with security forces. UWK subsequently said that it wanted to prevent what happened in February 2015, the last time authorities agreed to allow larger numbers of fans into a stadium, when some 20 UWK supporters were killed in Cairo by security forces. Last year’s incident followed the death of 72 Ahlawy members in Port Said in 2012 in an incident that was widely seen as an attempt gone awry by the security forces and the military to teach the ultras a lesson and cut them down to size. Mr. Al-Sisi’s first implicitly acknowledged the power of the fans in February of this year when he a day after Ahlawy’s commemoration of the fourth anniversary of the Port Said incident phoned into a television program to invite the ultras to appoint ten of their members to independently investigate the incident. Ultras Ahlawy declined the invitation saying it could not be accuser and judge at the same time but kept the door to a dialogue open. Mr. Al-Sisi’s gesture was all the more remarkable given that Islamist members of the UWK and Ultras Ahlawy formed the backbone of student protests in universities and flash demonstrations in popular neighbourhoods of Cairo against the general-turned-president’s overthrow in 2013 of Mohammed Morsi, Egypt’s first and only democratically elected president. The protests were brutally suppressed as the regime turned universities into security force fortresses. Scores of UWK members are being held in detention for violating Egypt’s draconic anti-protest law. An Egyptian court acquitted in March a leader of the UWK, Sayed Ali Moshagheb, on charges of establishing an illegal organization, the UWK, while another court sentenced him to a year in prison for attacking the Zamalek club house. Mr. Moshagheb has filed an appeal against the court’s verdict. Fans have been banned from stadia for much of the last five years because authorities feared their ability to turn the pitch into venues of mass political protest. The regime made exceptions for international matches to avoid being blamed for a club or team’s potential poor performance but largely ensured that militant fans or ultras were admitted at best only in small numbers. The fact that the fans attended this week’s match in large numbers without incident strengthens their argument that the burden of guilt for years of violent confrontations lies with the security forces rather than the supporters. UWK alongside other groups of ultras has long called for a lifting of the ban, noting that they have been attending their club’s training sessions as well as competitions in other sports practiced by Zamalek without incident. The UWK’s ability to maintain its capacity to mobilize was demonstrated during the African Championship match. It persuaded the government and its minions in the Egyptian Football Association (EFA) to continue to keep stadia closed. "It was expected that only 2,500 supporters would attend the game, but we were surprised when 8,000 people or more were in attendance. The high number of fans present was due to poor organisation at the entrance to the stadium," the head of the EFA’s Competitions Committee, Amer Hussein, said after the match. Mr. Hussein drew a distinction between international matches and domestic league games. "It's preferred to keep the crowd ban on the domestic games as I am not optimistic by the (return of this large number of fans) …. Fans entered the game without tickets, Zamalek could be fined. There were no inspections for fans before entering the stadium, so there is still a threat,” Mr. Hussein said. Clubs as well as the national team suffer not only financially from the lack of ticket sales and reduced sponsorship as a result of the ban but also from the absence of the support of the fans, an important driver of performance. “Zamalek were finally boosted by heavy fan support at home for the first time in months as they claimed a 2-0 home victory over Algeria's MO Bejaia to move close to a place in the African Champions League group stage on Saturday. 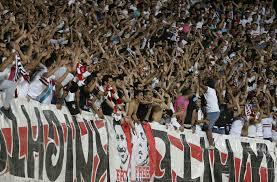 Thousands of hard-core supporters, who belong to ardent fan group Ultras White Knights, took their seats in the northern stands of Cairo's Petrosport Stadium and feverishly cheered on Zamalek… Their presence appeared to spur on Zamalek's players who celebrated with the fans following the final whistle,” state-owned Al Ahram newspaper and online news service reported. The UWK’s performance in the match against the Algerians takes on added significance given their troubled relationship with the controversial, larger-than-life chairman of Zamalek, Mortada Mansour. A politician and member of parliament, Mr. Mortada has accused UWK of trying to assassinate him and has unsuccessfully thought to persuade Egyptian courts to ban ultras groups as terrorist organizations. The government and EFA’s fear of the ultras and the fans’ demonstrated ability to mobilize and control their ranks coupled with the recent brutal murder in Cairo of Giulio Regeni, a Cambridge University PhD student of the Egyptian labour movement, highlights the need for wholesale reform of Egyptian law enforcement. 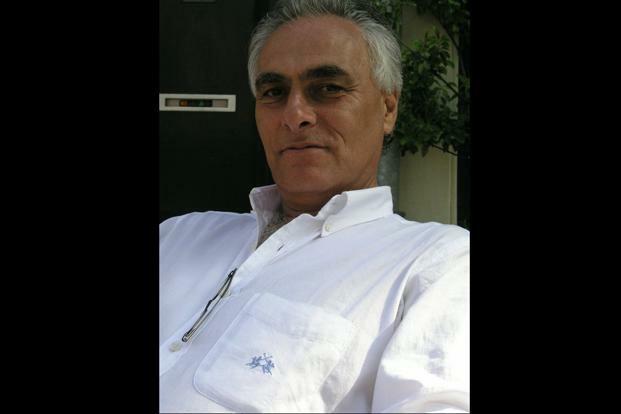 Italy this month recalled its ambassador from Cairo amid widespread belief that the torture marks on Mr. Regeni’s body had all the hallmarks of Egyptian security force practice. Despite a few recent cases in which Mr. Al-Sisi has allowed law enforcement personnel to be put on trial for alleged abuse, there is little indication that he is willing to tackle a structural problem that in the view of Yezid Sayegh, a scholar of Arab security forces and militaries, can only be addressed in a transparent, politically more liberal environment. “Increasing social polarisation in many Arab states over the last two decades has impeded consensus on how to restructure and reform policing. Marginalisation of up to 40% of the population, who live at or below the poverty line, has fuelled political challenges, in turn subjecting entire social segments to targeting by official security bodies. Furthermore, the determination to crush dissent affects the urban middle classes, which might otherwise be the strongest proponents of security-sector reform in this area. Both Egypt and Syria are prime examples of this,” Mr. Sayegh said.